Improve your game with us. We offer a simple approach, in a comfortable environment, with a desire to achieve results. We improve your game whether it's a one - off quick fix or a Game Improvement plan. Jonti joined the PGA of New Zealand when he turned 18, he started his traineeship at the Greenacres Golf Club, where later he became the Head Professional. During his traineeship Jonti moved to the Masterton Golf Club where later he also became Head Professional. He moved to Marlborough in 2010 and recently moved his Golf Hub which was previously situated in the heart of the retail area in Blenheim CBD to the Marlborough Golf Club. Jonti has been teaching golfers at all levels for over ten years and has picked up valuable experiences along the way. Jonti plays or practices golf at least once a day and has been apart of the national Pro Am circuit and Charles tour for 11years and has had some success, in his mind the best being the two years that the South Island team, which versus the North Island team, won back to back years in a Ryder Cup format. He is the current Rarangi Open and Blenheim 1000 winner. Whether it's playing or teaching the game, Jonti will be passionate about improving. He has coached top Professional golfers, introduced the SNAG golf programme at local schools and runs the Give Golf a Go programmes in the summer. He is passionate about improving peoples golf of all ages and abilities. 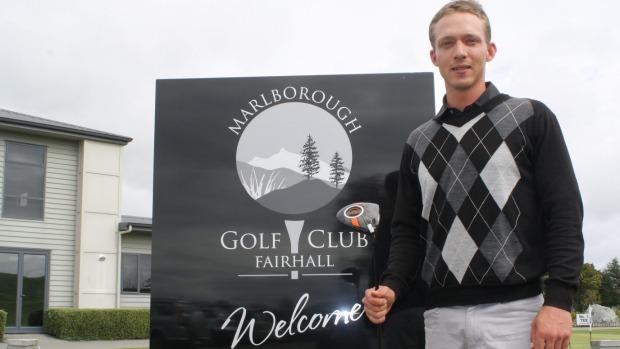 Chas is a first year NZ PGA Professional with a seriously good golf game. He is working towards his dream of becoming a successful touring professional and while he is gaining valuable experience in the golf industry, he is passing his golf knowledge onto anyone who is looking for that edge in their game. Chas managed to create history in Marlborough Golf by winning the Marlborough Golf Clubs Senior championship in the same year of winning Blenheim Golf Clubs Senior championship. Chas is also very accomplished at squash and basket ball. He is currently playing the NZ Pro Am circuit and Charles Tour.